For Itchy Skin, Mane, Tail & Mites. Carrot Seed & Tea Tree Equioil uses a blend of essential oils to offer effective soothing properties for scratching and rubbing the skin, mane& tail along with mites. For the best results, use every day for one week and by the second week you will see noticeable effective relief. 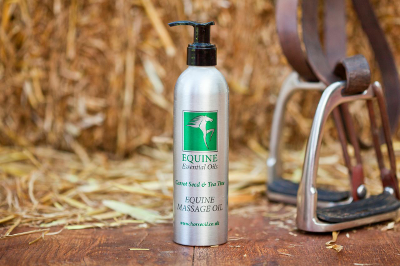 Use regularly to keep the area soothed and of course your horse will absolutely love having a wonderful massage.